Here is how Pixar describes it: "Woody has always been confident about his place in the world and that his priority is taking care of his kid, whether that’s Andy or Bonnie. But when Bonnie adds a reluctant new toy called 'Forky' to her room, a road trip adventure alongside old and new friends will show Woody how big the world can be for a toy." Which voice actors are reprising their beloved characters? Tom Hanks (as Woody) and Tim Allen (as Buzz Lightyear) and are confirmed. The large supporting cast will reportedly include Annie Potts (as Bo Peep), Joan Cusack (as Jessie), Blake Clark (as Slinky Dog), Wallace Shawn (as Rex), John Ratzenberger (as Hamm), Estelle Harris (as Mrs. Potato Head) and Kristen Schaal (as Trixie). Who will voice new characters? Christina Hendricks (as Gabby Gabby, "an adorable, talking pull-string doll from the 1950s"), Ally Maki (as Giggle McDimples, "a miniature plastic doll" and Bo Peep's best friend) and Keanu Reeves (as Duke Caboom, "a 1970s toy based on Canada's greatest stuntman"). Who is helming the project? Josh Cooley (Cars, Inside Out, Pixar short George & A.J. ), as we heard in July 2017. 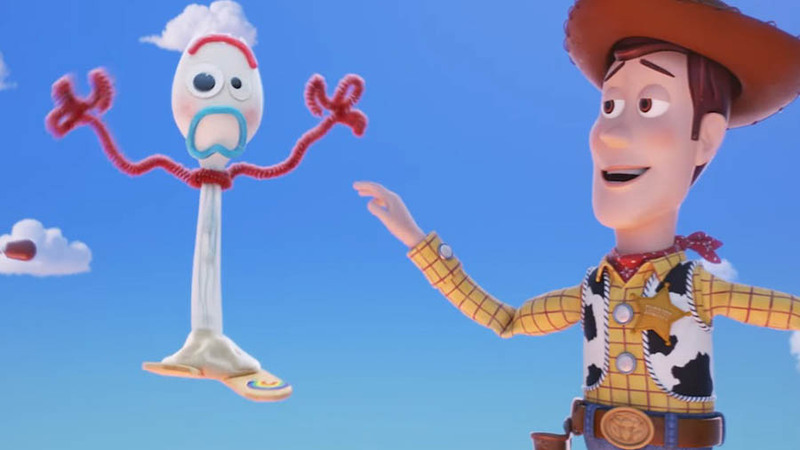 Disney/Pixar will release Toy Story 4 in theaters everywhere on June 21, 2019. Sign up for a FanAlert and be the first to know when tickets and other exclusives are available in your area.